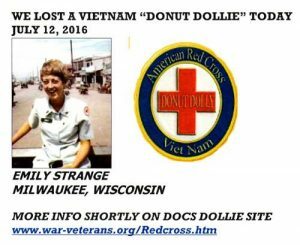 Guest Writer - Emily Strange; RIP (Donut Dollie) - The Works of Joe Campolo Jr. In October 2017 I will be at the Air Force Academy for the 50th reunion of me graduating class. The vast majority of us served in SEA. I intend to read this at my Squadron Dinner. That’s great Gary, I’m sure Emily would be honored. Emily’s story remains one of the most popular stories on my blog. Thanks to all on her behalf.